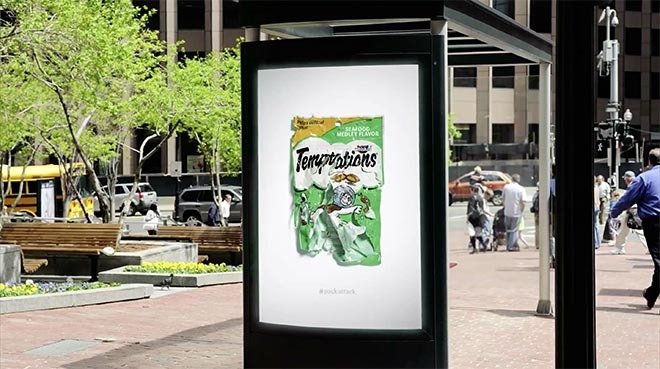 Mars Temptations cat treats are being promoted in the USA with #packattack, a campaign produced by cats for cats. 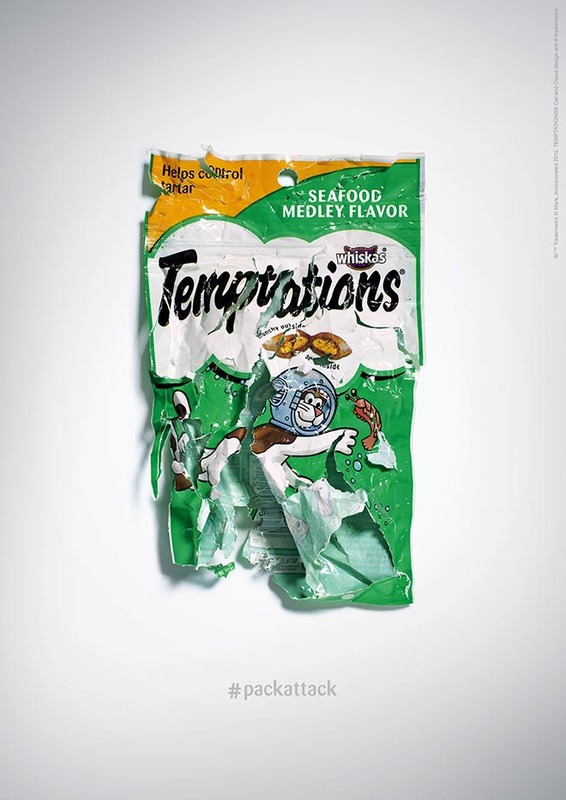 The campaign, run across print, outdoor and social media, features product packs beautifully destroyed by fifteen cats in a studio, demonstrating that cats can’t resist Temptations. 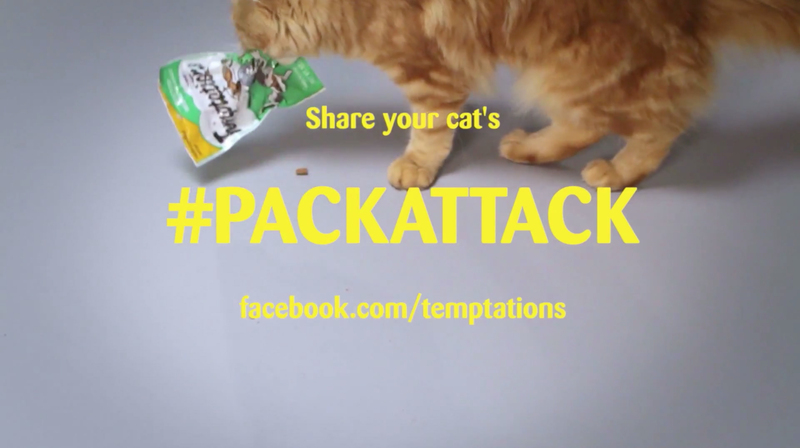 An online film shows how the posters were made using real cats, and invites people to share their own ravaged packs using #packattack on the Mars Temptations Facebook page. The #PackAttacks campaign follows on from our online film, Time to Play Ball. 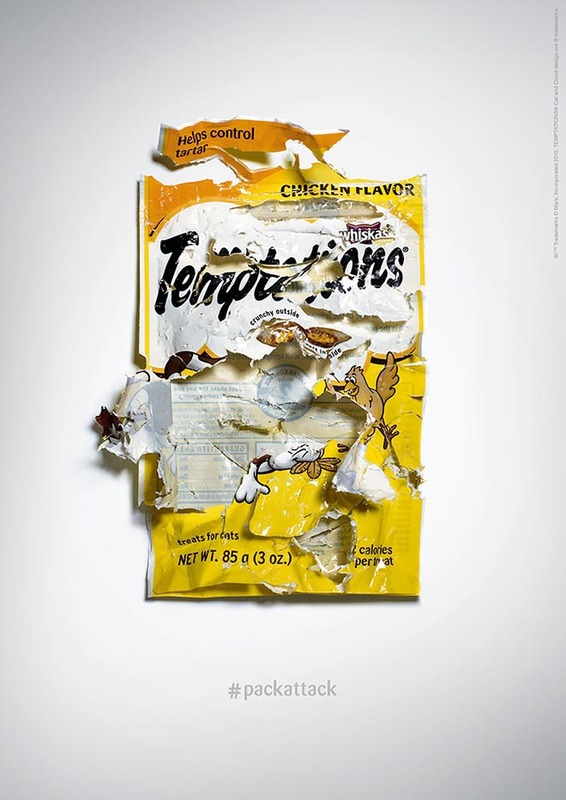 The #PackAttacks campaign was developed Adam&EveDDB, London, by executive creative directors Ben Priest, Ben Tollett and Emer Stamp, creative director Daniel Fisher and Richard Brim, copywriter Frances Leach, art director Christopher Bowsher, agency producer/art buyer Daniel Moorey, senior creative producer Caroline Tripp, planner Elaine Miller, head of social Simon Adamson and social media manager Jessica Taylor. 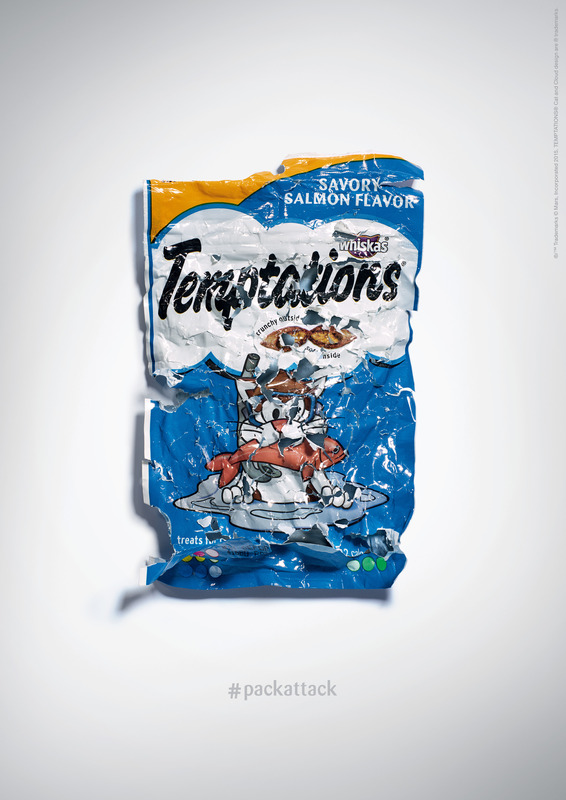 Photography was produced at Blink Art by photographer Ryan Hopkinson, shoot consultant Kyle Bean, with retoucher Gareth Ling at Stanley’s Post, print producer Raidel Chao-Batlle at Gutenberg networks and animal handler Charlotte Wilde. 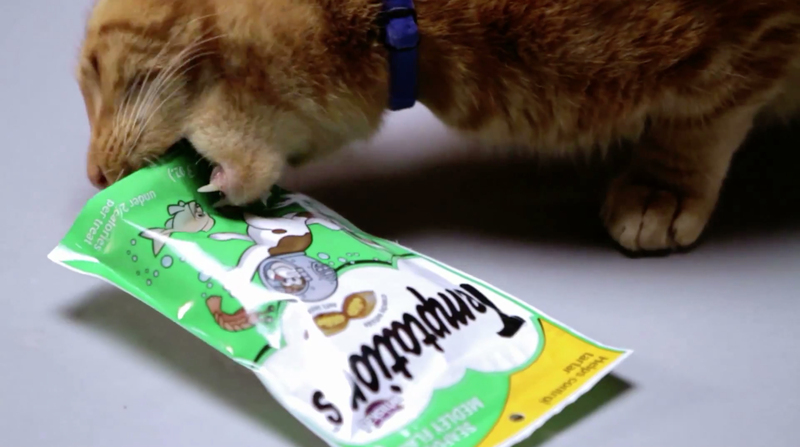 Filming was produced at Blink Art by director/editor Josh Hine and producer Katy MacGregor.